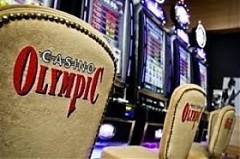 After a court had barred the listed casino group Olympic Entertainment Group (OEG) from increasing its share capital in the interest of Novalpina Capital, which has bid for all shares in OEG, Novalpina filed an application for merging Olympic with their subsidiary, which would mean a buyout of minority holdings by means of a squeeze-out procedure, report LETA/BNS. You are more likely to die as a result of being assaulted in Latvia than anywhere else in the European Union according to official statistics released by Eurostat August 6. The findings are based on data from 2015. Consolis Group, a holding of the U.S. investment company Bain Capital, announced on Monday the signature of a purchase agreement with the Estonian company TMB Group, a producer of concrete elements in the Baltic countries and Finland. Lindaliini AS, which used to operate fast catamarans on the Tallinn-Helsinki route under the Linda Line brand, is planning to restore fast boat traffic between the two capitals with a new boat, accroding to the public broadcaster ERR reported writes LETA/BNS. The price of electricity rose 7% in Lithuania in July, from June, due to high temperatures raising energy consumption, and also price rises in other countries in the region, independent electricity provider Energijos Tiekimas says. Israel is looking into possibilities to import Lithuanian beef and eggs, the Baltic country's Agriculture Minister Giedrius Surplys says LETA/BNS. The team of Latvian vertical wind tunnel maker Aerodium has built the world’s largest wind tunnel and trained Hollywood actor Tom Cruise to fly in it for the 2018 Hollywood action spy movie Mission: Impossible - Fallout, the company’s representatives told LETA.